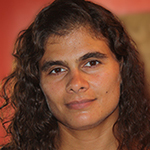 Simone Diniz Junqueira Barbosa is Associate Professor at the Informatics Department of the Pontifical Catholic University of Rio de Janeiro (PUC-Rio), where she teaches, advises and conducts research in the field of Human-Computer Interaction (HCI). Level 2 researcher in CNPq (National Council for Scientific and Technological Development in Brazil), her current research interests involve: model-based interactive systems design; multimodal user interaction; data science and visual analytics; digital storytelling, increasing the quality of use (e.g. 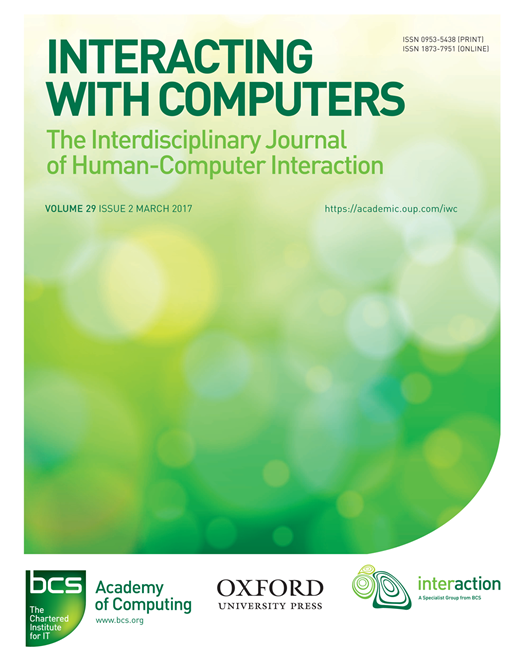 usability, communicability, accessibility) of interactive systems in diverse domains, by means of adaptation, analogy-making mechanisms, and other artificial intelligence techniques. In 2010 she co-authored the HCI textbook 'Interação Humano-Computador', for the Brazilian Computer Society series, first published by Elsevier, now self-published. From 2005-2009, Simone was the head of the Semiotic Engineering Research Group laboratory, and in 2010, she founded the IDEIAS lab. Simone Barbosa has led several research projects, funded by CNPq, FAPERJ, Microsoft Research, and Hewlett-Packard. She has served in technical program committees of several national and international conferences, e.g., program co-chair of the first Latin-American Conference on Human-Computer Interaction, CLIHC 2003; late-breaking results co-chair for ACM/SIGCHI's CHI 2005; general co-chair of IFIP TC 13's INTERACT 2007, held in Rio de Janeiro, Brazil; panels co-chair for CHI 2011; general co-chair of ACM/SIGCHI's EICS 2012, held in Copenhagen, Denmark; late-breaking results co-chair for EICS 2013; program co-chair for IHC 2013; tutorials co-chair for EICS 2014; full papers co-chair for INTERACT 2015; SIG meetings co-chair for CHI 2015 and CHI 2016; program chair for IS-EUD 2017; and demos chair for EICS 2017. She was the Brazilian Computer Society's representative in IFIP TC 13 from 2008 to 2013, when she became an expert member and later Vice-chair for Working Groups and Special Interest Groups. From 2013-2015 she was the chair of the Special Commission for HCI of the Brazilian Computer Society. In 2009 she joined the Editorial Board of Interacting with Computers (formerly published by Elsevier, now by Oxford University Press); in 2011 the Advisory Board of IxD&A; in 2012 the editorial boards of Springer's HCI and CCIS book series; in 2013 the editorial board of Springer's OpenAccess Journal of Interaction Science; in 2014 the editorial board of the SBC Journal of Interactive Systems; and in 2016 the editorial board of Springer's OpenAccess Journal of Software Engineering Research and Development. In October 2016, she was appointed co-Editor-in-Chief of ACM Interactions Magazine. In 2019, she was appointed as Associate Editor of the Journal of Computer Languages, by Elsevier, responsible for coordinating the Visual Languages and Computing Technology track.